In 2016 Johannesburg-born Choni Goldman, aka Choni G, won the prestigious Jewish Star - an international American Idol-style competition that showcases the singing talents of Orthodox Jews. 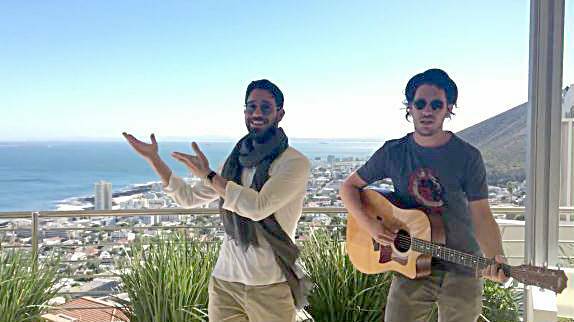 Since then, he’s relocated to Cape Town to take on the role of chazzan at Cape Town's oldest and most famous synagogue. He performed at gigs in Australia, Brazil and the USA, and cemented his reputation as South Africa’s most sought-after Jewish wedding singer. In this video, Choni G. teams up with band leader Johnny Sklar to sing Yedid Nefesh on a rooftop in Cape Town in South Africa.